One of the questions that often gets asked when people drop into Birdsong Studio is whether or not I ever do lessons. My answer often includes a statement like "I would never call what I do a lesson". I don't set out to teach when I do a workshop. I'll leave that to the artists much smarter than me who have the academic background and technical training that I do not. Instead, I show people my process and invite them to play with colour. At the end of every session, all of the paintings that get produced are completely and utterly different. 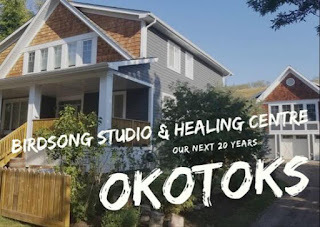 I say all of this because two painting workshops are coming up in support of two different community groups. 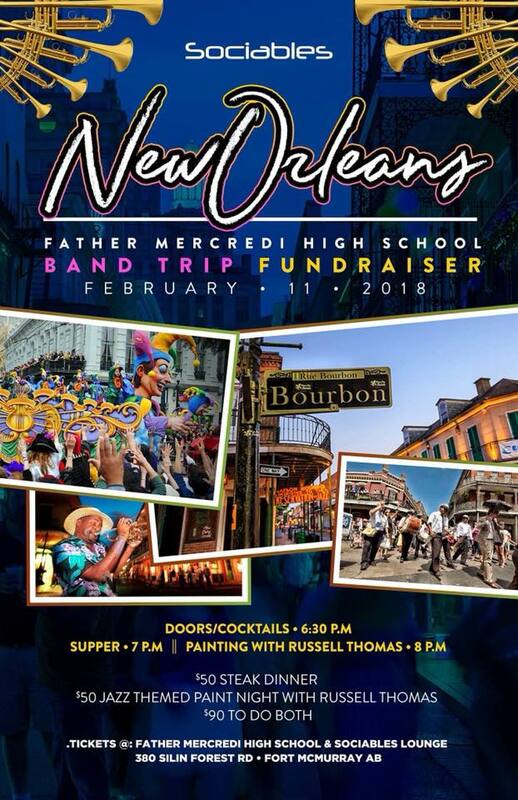 The first is a fundraiser for the Father Mercredi Ban at Sociables on Sunday, February 11th. 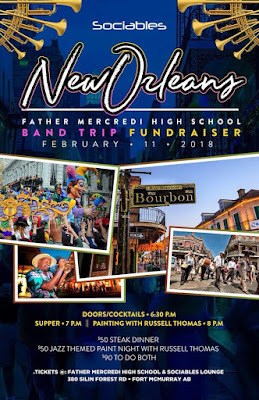 They are raising money to help them get down to New Orleans You can choose to arrive early and enjoy a steak dinner, or just arrive for 8 pm when the painting will begin. 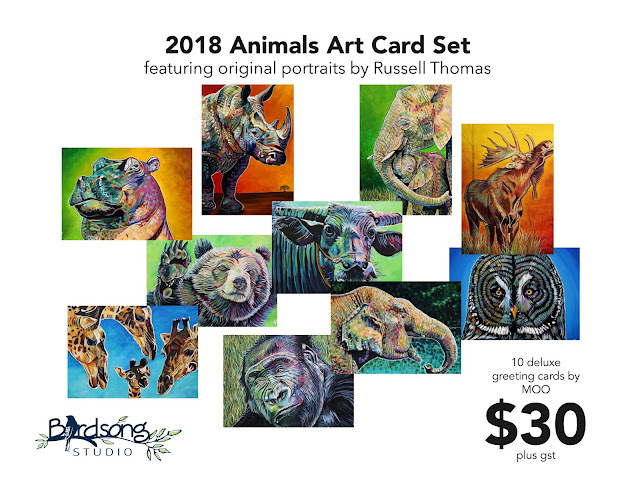 The cost is $50 for the steak dinner and $50 for the painting, or you can do both for $90. In participating in one or both you'll be helping the kids get to one of the most creative and vibrant cities in America. You can get yours at Sociables or at Father Merc. Are you still stuck on what to do for Valentine's Day? Here's a great idea. 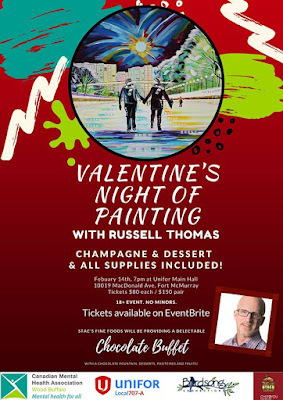 How about a painting date? Our friends at the Canadian Mental Health Association, Unifor Local 707-A and Stacs Fine Foods/Chef2You have teamed up for an amazing evening that will include champagne, dessert and painting. Tickets are $80 each or $150 for a pair. Tickets are available at EventBrite or by clicking here. What will we be painting at these workshops? Honestly, I haven't fully decided. That's part of the fun. Come with an open mind and heart; you'll enjoy a lovely time. You'll also get to take home an original piece of art created by YOU. The other big event coming up is the Multicultural Expo | Diversity Strong. This was my friend Sana's pride and joy. As the former President of the Multicultural Association of Wood Buffalo, she would come out to this event in her traditional dress and would greet people with great enthusiasm and love. Sadly, Sana will be watching the Expo from a different vantage point this year, as she was tragically taken from us in September. The amazing folks at the Multicultural Association of Wood Buffalo invited me to participate in the event this year by purchasing a booth. I'll be doing a couple of things. First of all, I'll be painting from 11 am to 8 pm. One of the pieces I'll be doing for sure is a piece in support of our friend Jina Burn that will be auctioned off later that same evening at a fundraising event in Waterways. 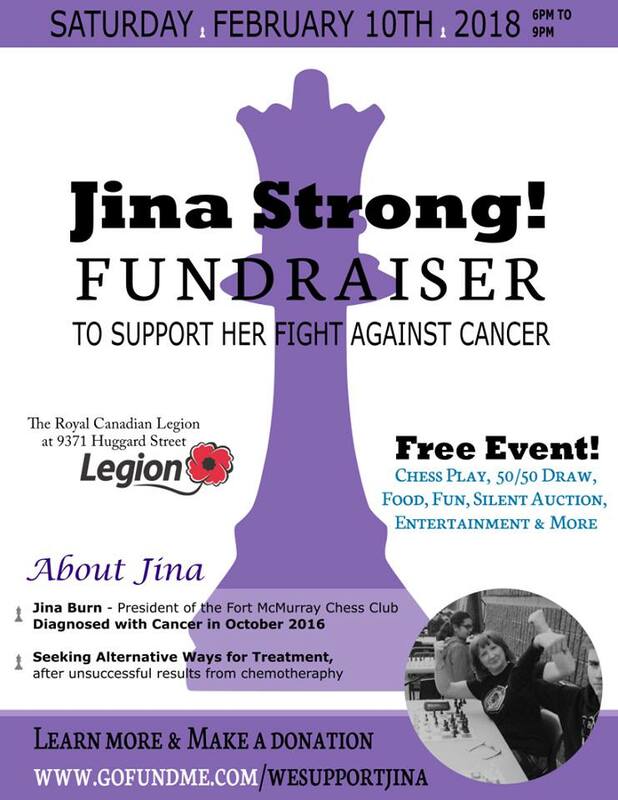 President of the Fort McMurray Chess Club, Jina has had unsuccessful chemotherapy results and is seeking alternate therapies. She needs our help to make that possible. I may have time to do several paintings at the Multicultural Expo. 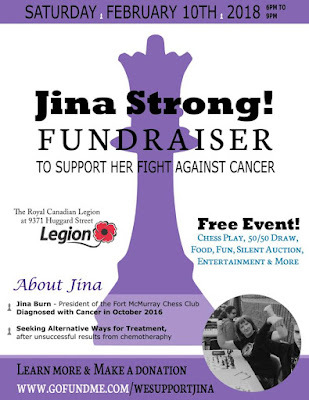 Apart from the piece in support of Jina, all other original works will be sold and/or auctioned with proceeds being forwarded to the Multicultural Association of Wood Buffalo in memory of Sana. Finally, I'll have three different sets of greeting cards available for purchase at the Multicultural Expo. They are due to arrive in a couple of days after the first batch sold out in less than 24 hours. 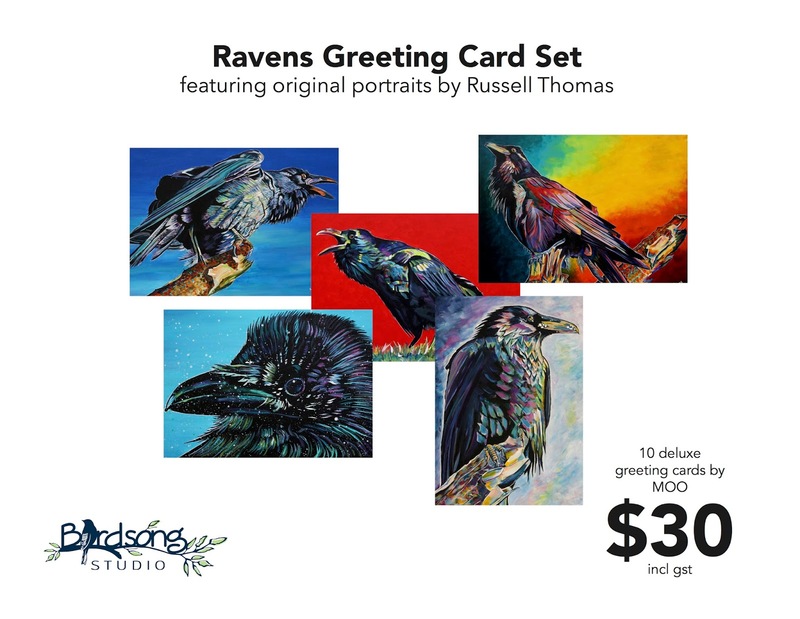 I've added a set of raven cards to the mix. In a pack of 10, you will get two cards featuring these raven paintings. 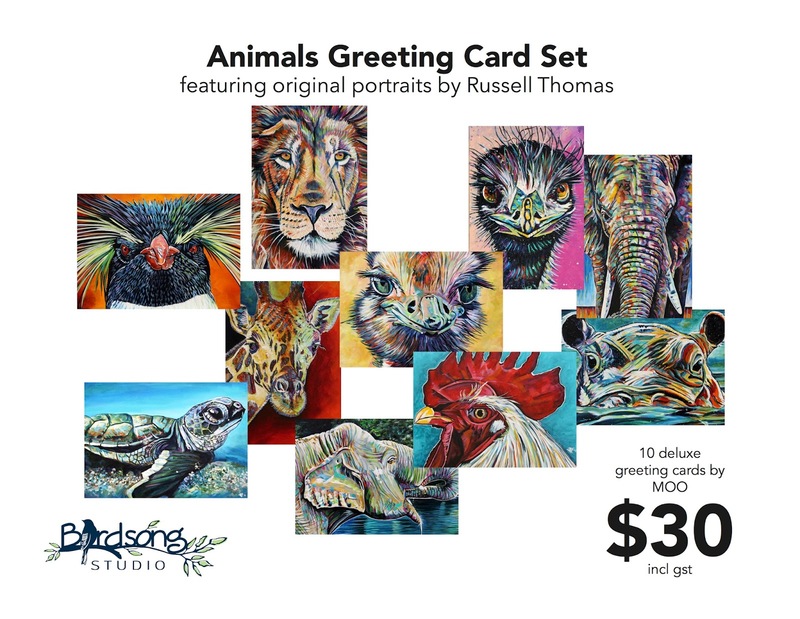 We'll also have sets of animal cards and music icons.